The TS 142 is a user-friendly tractor ideal for homeowners having small to mid-size gardens. 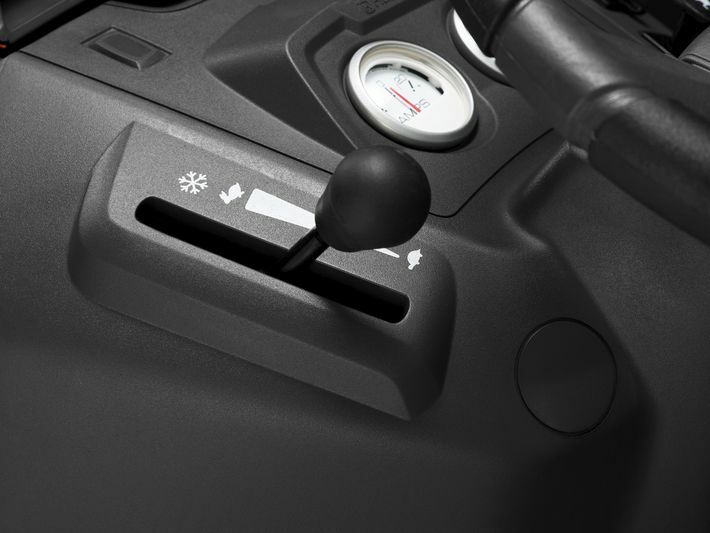 It is an efficient tractor with side ejection, smart design and ergonomics. 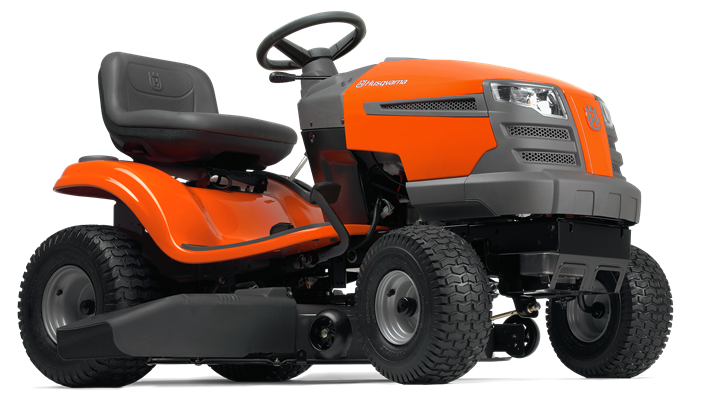 Has a powerful Husqvarna Series engine with choke less start and convenient pedal-operated transmission. 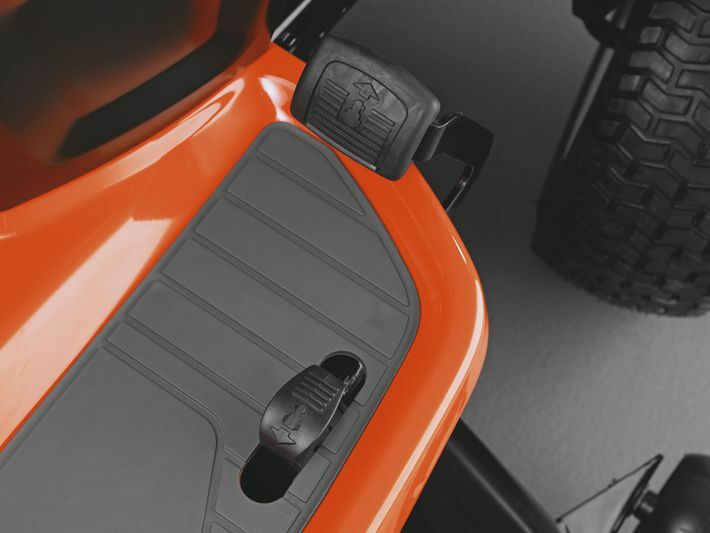 Can be complimented with a collector and BioClip® kit. 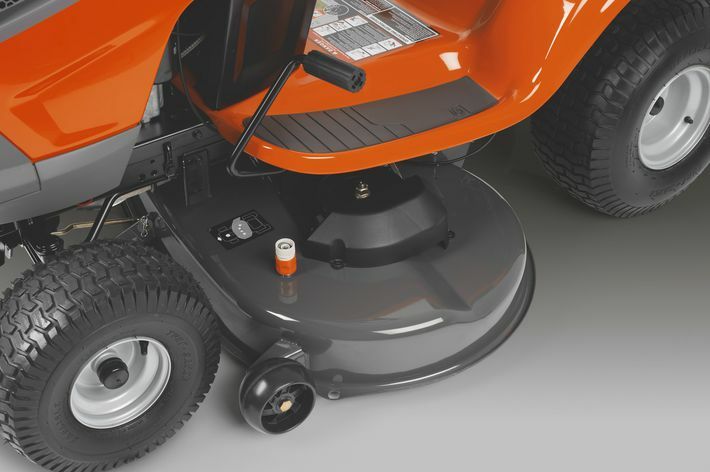 Powder-coated decks for exceptional durability and four anti-scalp rollers as well as a nose roller to help prevent scalping grass for a professional cut, every time. Seat back height Low 11"